Bloomington, Ind. 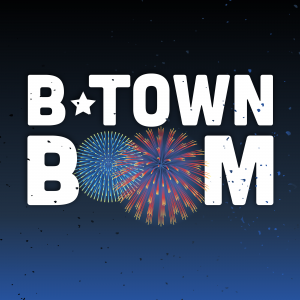 – B-town Boom will kick-off this year’s Independence Day celebrations in downtown Bloomington. 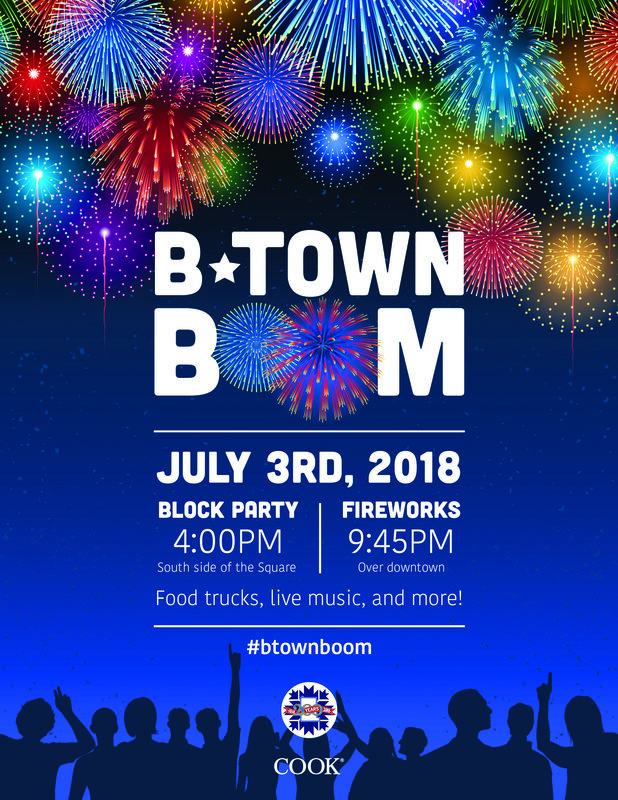 In its inaugural year, B-town Boom’s block party and fireworks show is a family friendly event that brings our community downtown. Enjoy live music, food trucks, face painting, local shops, and restaurants in the heart of our city. The event, sponsored by Cook Group and CFC Properties in partnership with the City of Bloomington, will also celebrate Bloomington and Monroe County’s Bicentennial. Festivities will be held on the evening of Tuesday, July 3. The block party begins at 4:00 p.m., with fireworks to follow at 9:45 p.m. In the case of inclement weather, the fireworks will be postponed to Saturday, July 7, at 9:45 p.m. The block party will take place on Kirkwood Avenue between College Avenue and Walnut Street. The fireworks launch site is the Trades District between 10th Street and 11th Street, just east of Rogers Street.